While the Veterans Historic Art Project is one where I spend considerable time, my annual “Salon” is where I celebrate many other facets of my work. This year’s Salon is a tribute to “Generations”—a theme that resonates. In July 2014, I travelled to Stazzema, Italy to honor my former instructor, Nerina Simi, whose impact on my art and life proved invaluable. In that vein, this year’s Salon includes works by former and current students who have studied with me at some time—and whose artistic talent has taken root in their own lives/careers, and in the case of the younger students, is just taking off. In partnership with my friends and artists in their own right, Celo V’ec and Carol Christensen, Subito Chamber Orchestra will play that evening. Subito is an inter-generational string chamber orchestra directed by teacher and performer Celo V’ec. Comprised of a dozen of his most advanced students, the orchestra was formed to provide a performance ensemble adequate to the considerable abilities of the members. You will not be disappointed. Students whose work will be on display, (many of whom will be attending the event) include: Jeffrey Hurinenko, Ann Marie Ethen, Stella Hecht, Jill McIntire, Claire Miller, Matthew Toenies, Chris Welch, and Christina Welch. This article Kapsner’s annual salon to highlight importance of ‘old school’ art training for future generations sheds more light on the legacy of the Salon, and generational importance. 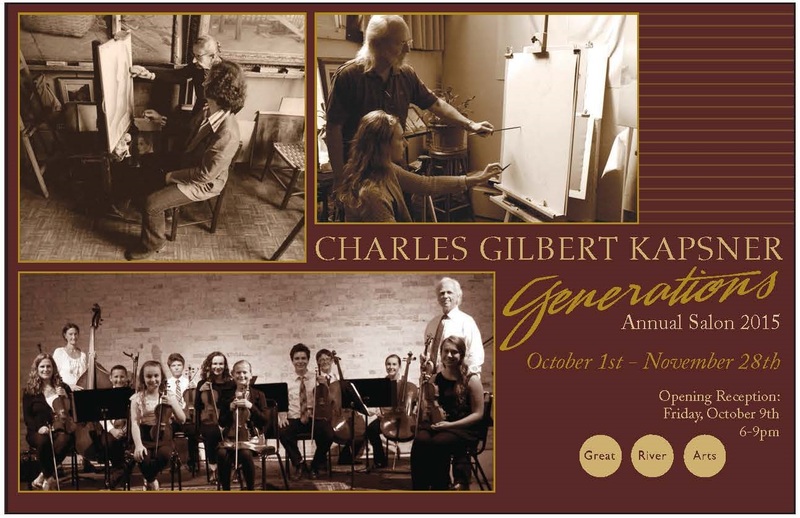 “Generations” provides the opportunity for you to view, learn and support the work of established and emerging artists. I hope to see you there! By vetsart in Uncategorized on October 5, 2015 .